This place needs no introduction as I reviewed their other venue on my website numerous times. World-class seafood, you can’t fault with eating here at The Wright brothers. The Wright Brothers Spitalfields is super busy at night. When my friends and I arrived, the inside dinning spaces were full and the only place left was seating outside. The Wright Brothers Spitalfields offers a “see-to-plate” dining experience with its large seawater tank right inside the restaurant. Our server was enthusiastic giving us a full explanation of the blackboard specials. Doing a wonderful job looking after us and even giving us free food. The oysters are a must have here, several varieties on offer, their plump, fleshly creaminess texture with different seawaters in the taste, leaves you simply wanting more and more. 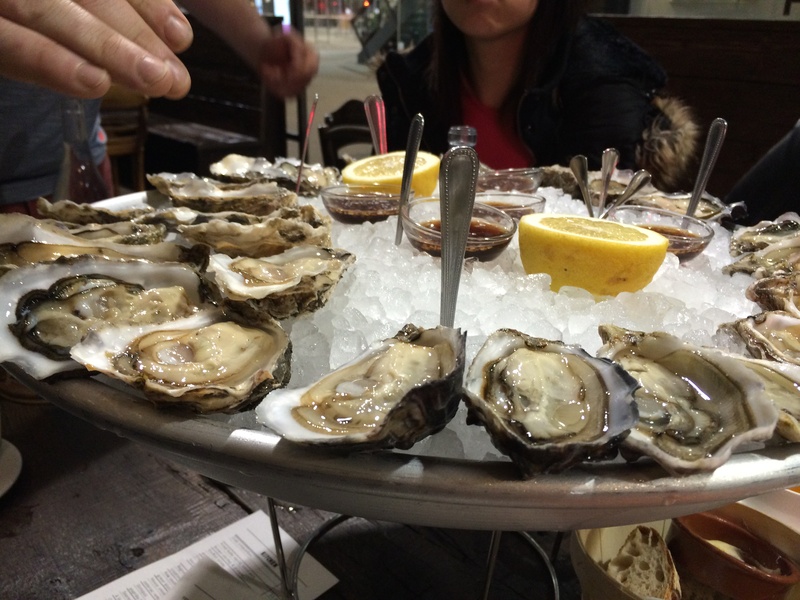 It’s still one the best tasting oysters I had in London. Ordering one of the potato gratins it came in a surprising large portion, still piping hot with steam letting loose. 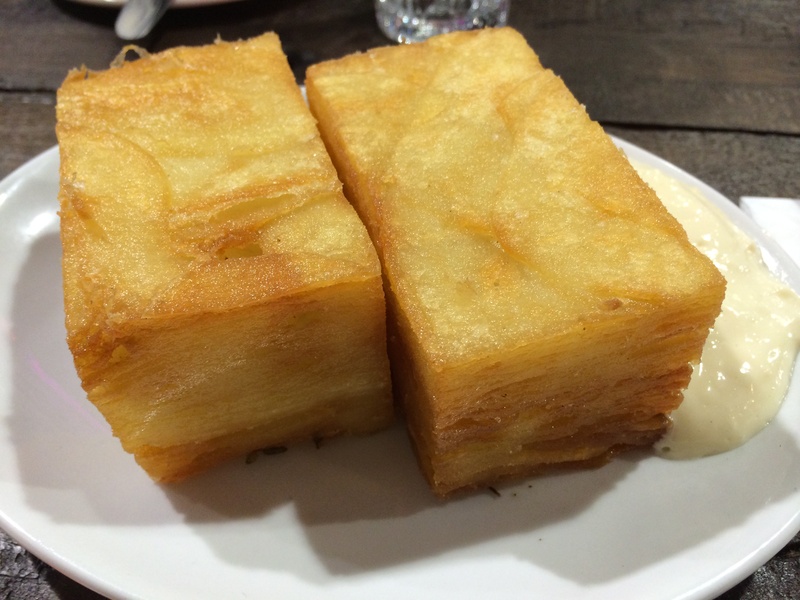 Two huge blocks of multilayers of thinly sliced potatoes deep-fried until crispy yellow brown. 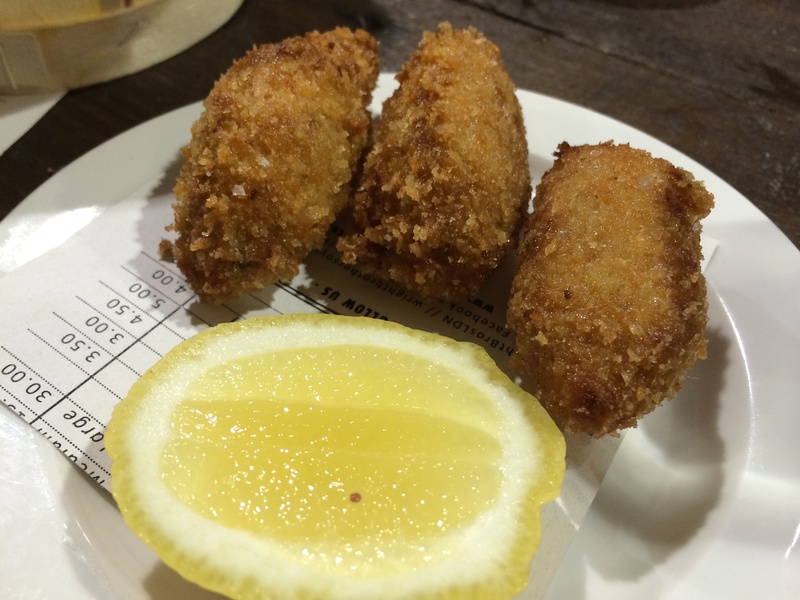 Accompanied with a mayo, it had slight garlicky aftertaste with different textures of crispiness from the thinly slices. 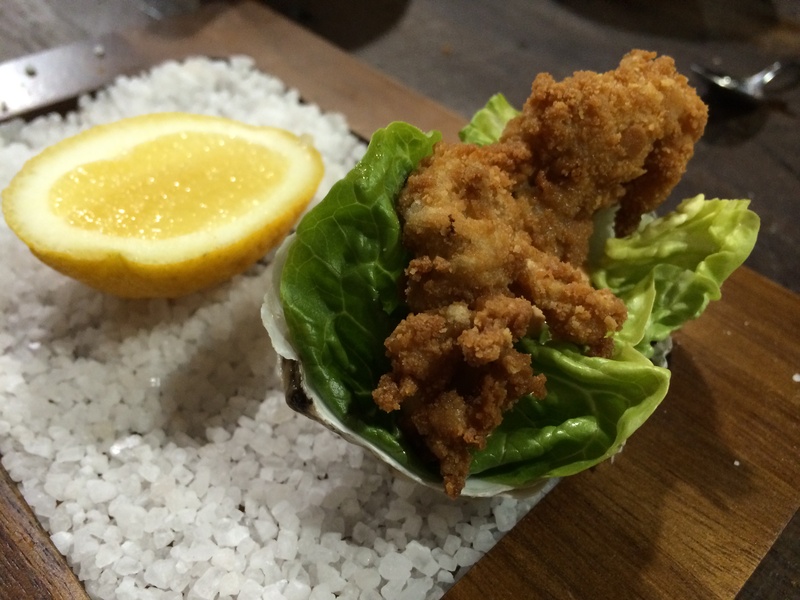 The dressed oysters were given free to us, three deep-fried oysters coated in breadcrumbs, pine smoked for deep earthy flavours. Overall The Wright Brothers Spitalfields is a true taste of seafood at it’s finest and is one of the places for true seafood connoisseurs who love fresh tasty seafood. It won’t burn a hole in your wallet I’ve already been to other Wright Brothers sites numerous times and it never fails to deliver quality food.